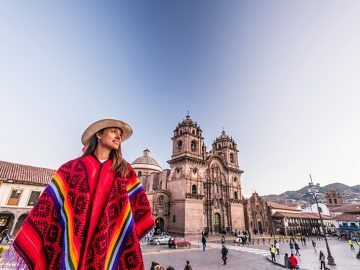 When planning your next family vacation, do you daydream about a mythical place when cell service drops to zero and the front desk staff has no wifi code to give? Such places exist, and they’re ripe for family adventure. From budget-friendly to bucket list-worthy, these diverse getaways all guarantee time outdoors and away from screens…for both your kids and you. 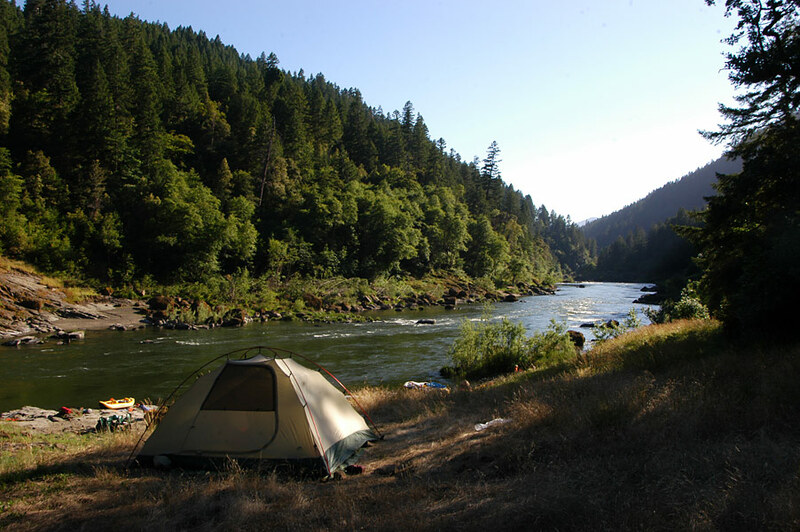 Experience the Wild and Scenic Rogue River: In the heart of Southern Oregon, the Rogue River offers 84 miles of wilderness untouched by roads, power lines, or cell service. 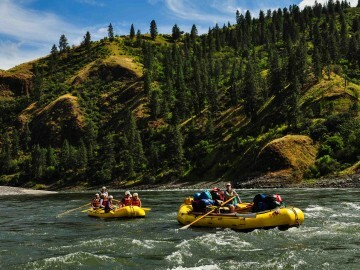 Rafting trips on this scenic river are ideal for families seeking togetherness with a splash of excitement. Camp in a yurt on the Oregon coast: The Oregon State Park system is peppered with cozy, warm, and welcoming yurts in their campgrounds, which are open for families year-round. And it’s hard to beat the $40/night price tag. Paddle the San Juan Islands marine trail: Join Crystal Seas Kayaking for a multi-night kayak trip from a basecamp at San Juan Island, Washington, to a smattering of outlying islands along the famed marine trail. 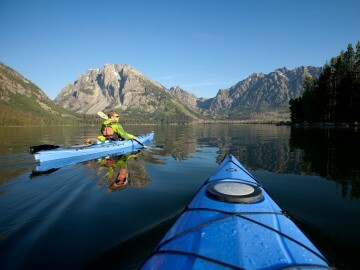 Camp in tents at night and learn to navigate your sea kayaks during the day. Overnight in a treehouse: Out’n’About Treehouse Treesort is located near the Oregon-California border along the Redwood Highway. 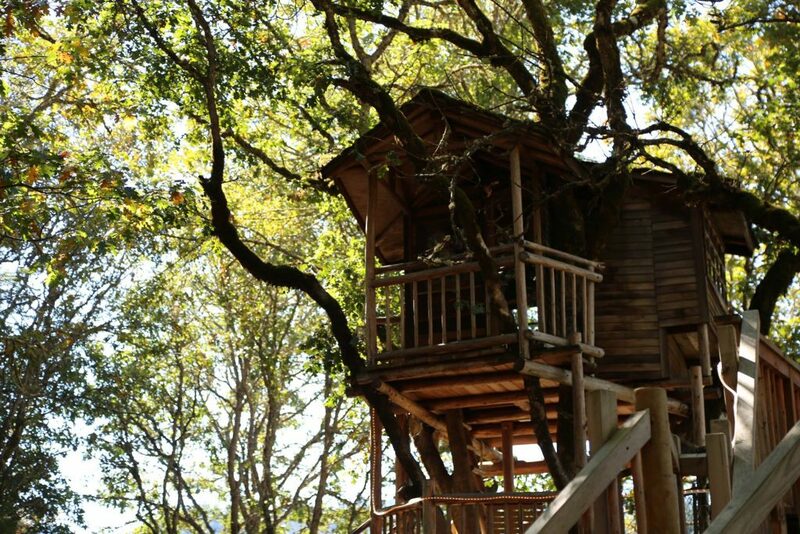 Kids can climb rope ladders, pick their bunks, and even zip-line the next morning. Backpack the Jefferson Park Wilderness: Located in Central Oregon near the tiny town of Sisters, the Jefferson Park Wilderness can be accessed via the Pacific Crest Trail and offers some of the most dramatic scenery of the entire Oregon section. Families can backpack the area in 2-3 days, or plan a day hike from rustic Ollalie Lake Resort. Herd sheep on a Leaping Lamb Farm Stay: Located in the coastal mountain range by Corvallis, Oregon, Leaping Lamb Farm offers families a cozy cabin stay complete with farm chores in the mornings, and the run of the farm the rest of the day. Hike, tend to animals, or just read a book on the porch for a long unplugged weekend. Yosemite National Park ‘in reverse’ backpacking trip: Want to experience Yosemite in the summer…without the crowds? 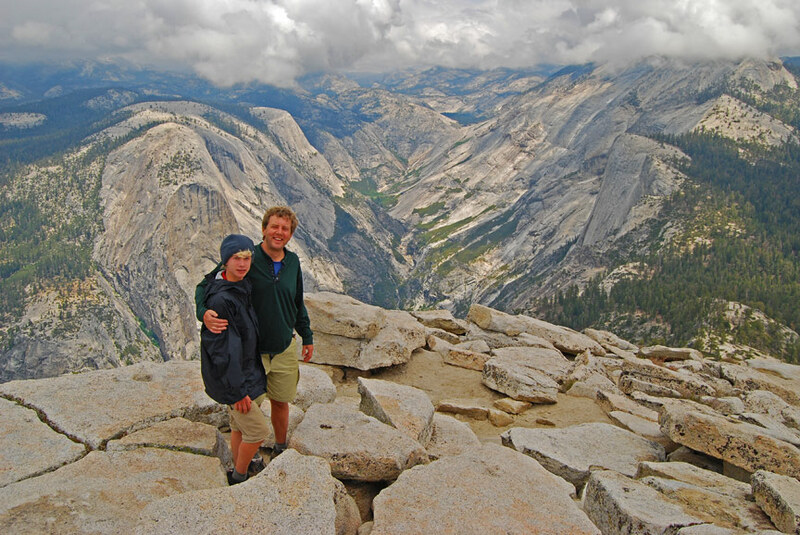 Start at Tuolumne Meadows and end on the valley floor, hiking a portion of the John Muir Trail with a Yosemite Backcountry Permit. Until your last day, you’ll be able to count the number of people you pass on one hand. Houseboat on Lake Powell: Spanning Arizona and Utah, Lake Powell isn’t precisely isolated, but cell service is pretty much non-existent, which means you can get there easily then spend up to a week in complete relaxation with your crew. 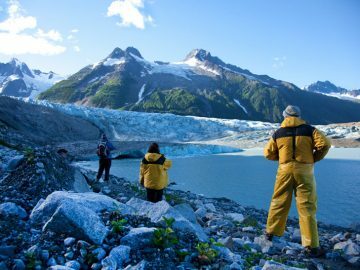 Cruise through Southeast Alaska: Families can experience SE Alaska like a local with Alaskan Dream Cruises, which depart from Sitka on small, 30-40 passenger vessels. 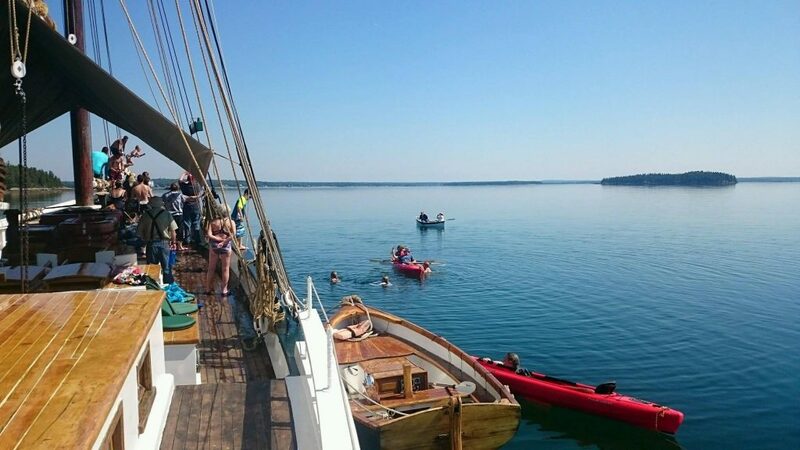 The ship stops daily in small, native-owned ports where families kayak, hike, and learn about the coastal wilderness. 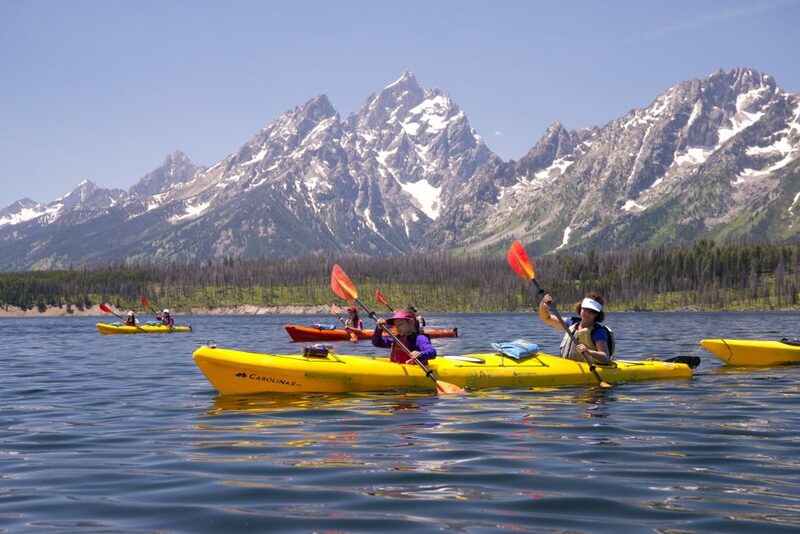 Explore the backcountry of the Tetons: Families may think they’ve seen Grand Teton National Park…until they experience three days of Jackson Lake kayaking. The wilderness is stunning, and even in the peak of summer, no one else is in sight for hours. 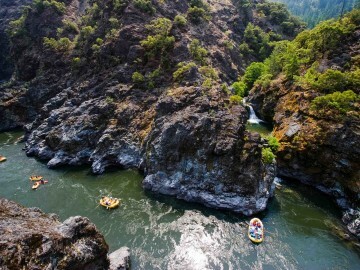 Raft the Lower Salmon: With an outfitter, a rafting trip through the gorges of the Lower Salmon River in Idaho isn’t as hard as it sounds. 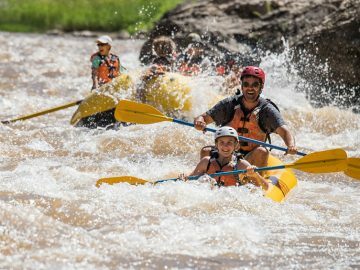 Mostly, it’s all fun and games, with sandy campsites and delicious food to round out days of sunshine and fun, Class III rapids. Get in the saddle at Three Bars Ranch: A dude ranch vacation can be the ultimate family retreat, and just past the Montana border at Three Bars, you get to enjoy a ‘family camp’ atmosphere with the Canadian Rockies as a backdrop. Cell service can be found if you seek it out, but don’t worry about the kids noticing: they’ll be too busy with their adopted horses for the week. 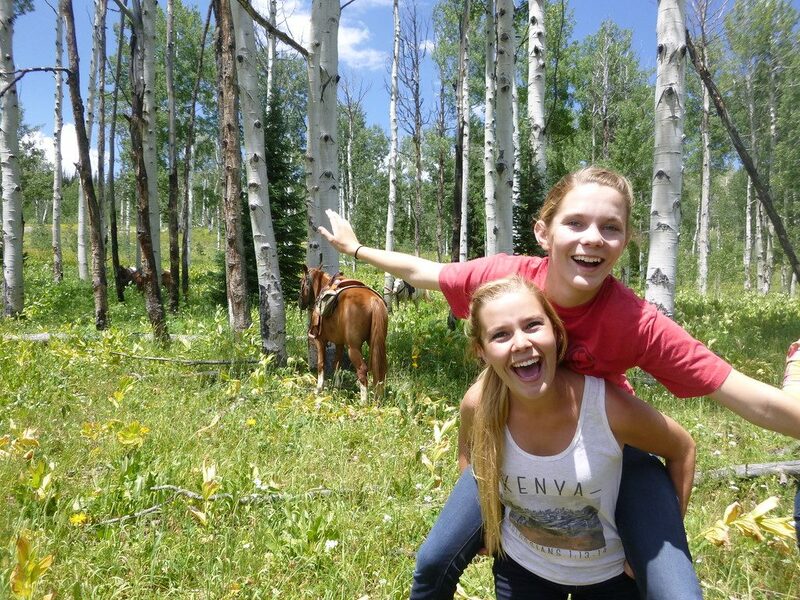 Cowboy up at Colorado Vista Verde Dude Ranch: Yes, another dude ranch, because this one is open year-round! At Vista Verde, families have no access to wifi, and fill their days riding or, in winter, skiing at nearby Steamboat Springs. Stay in a ghost town at Dunton: Dunton, Colorado is a 200-acre restored ghost town that has been transformed into a remote mountain escape. You’ll lose cell service before you even get there, transporting you back a century as you stay in a cabin near a saloon, dance hall, and hot spring. 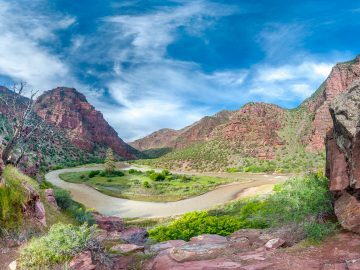 Navigate the Gates of Lodore: Rafting the Green River in Colorado through the heart of Dinosaur National Monument offers fun whitewater, scenery that rivals the Grand Canyon, gorgeous side-hikes, and comfy beach campsites. The best part though? No bars on anyone’s phone. See Mt. 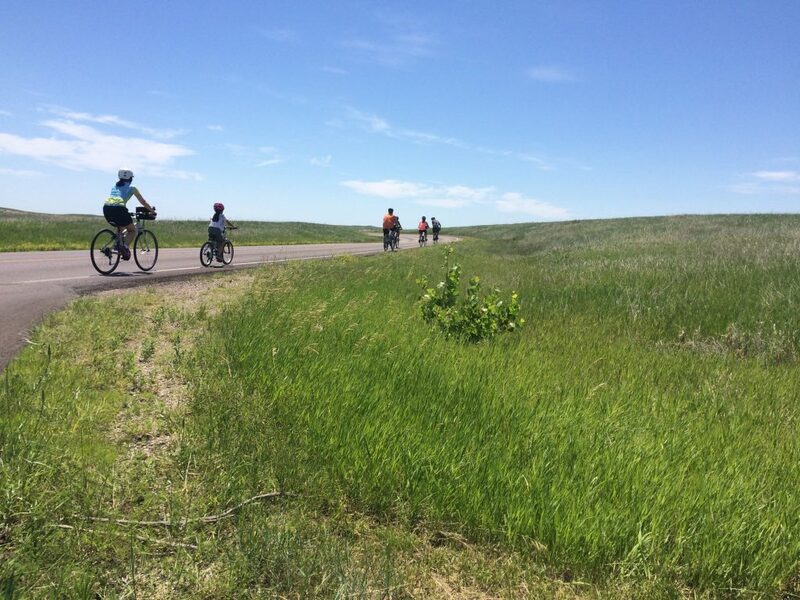 Rushmore and the Badlands by bicycle: Bicycle Adventures’ six-day family cycling trip through South Dakota may not be completely devoid of connectivity at all times, but your kids won’t have a free hand to hold a phone…they’ll be too busy cycling the Mickelson Trail, the top-rated paved bike path in the U.S., past Crazy Horse, the Badlands, and the Black Hills. Canoe the Boundary Waters: Start in Ely, Minnesota, where Boundary Waters Outfitters will get you geared up for a guided family trip of this remote wilderness area. Families will be removed from everything except the sound of an oar on the flat, calm surface of the water. 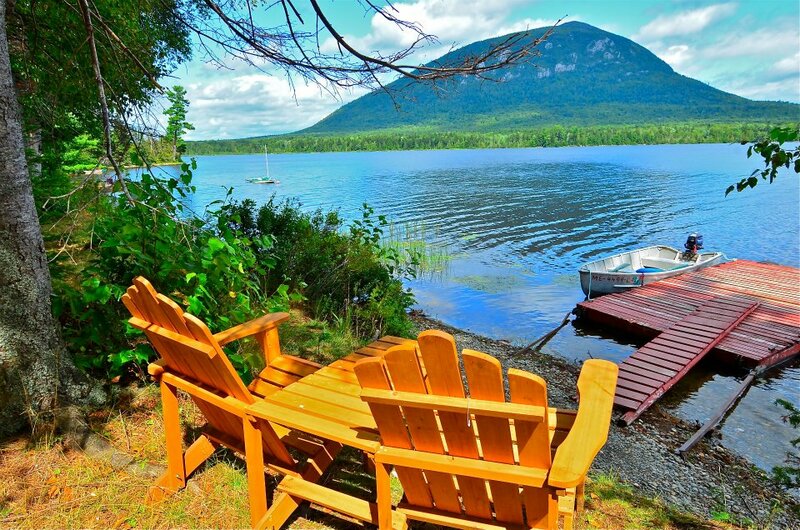 Channel your inner Thoreau at Spencer Pond camps: Stay in an off-the-grid mountain cabin in rural Maine at Spencer Pond where you can fish, hike, hunt, or paddle the Northern Forest Canoe Trail. Chances are good of seeing moose! Hike hut-to-hut with the Appalachian Mountain Club: AMC lodges are located through New England along the Appalachian Trail. Families can hike hut-to-hut for a backpacking trip they’ll never forget, or plan to hike from the Highland Center, where they can be outfitted for day trips in summer or winter. Milk cows near Shenandoah National Park: Belle Meade Farm is located in rural Virginia, an easy road trip from Washington DC but a world apart. Families can help care for animals, swim in the large outdoor pool or the swimming pond, and easily access the less trafficked entrance to Shenandoah National Park. Enjoy R&R at Little St. Simon’s Island: This privately-owned island off the coast of Georgia is only accessible by boat, but the cabins here are not just for luxury travelers. While you are served gourmet meals, accommodations are quaintly rustic, and the emphasis is on nature and outdoor living. Set sail with a Windjammer cruise off coast of Maine: You don’t have to know how to sail—yet—to go on a Windjammer cruise. But you’ll be amazed what you learn as you sail up the coast of Maine, taking in the sights and enjoying wonderful cuisine. Unwind at Little River State Park: Vermont state parks are an oasis for nature-loving families, and one of the best for a low-tech, budget-friendly family vacation is Little River State Park. Families can combine camping with extensive interpretive programs and tours of the area’s history. Experience an old-fashioned family camp at Mt. Snow: If you’d rather someone else do the cooking during a Vermont getaway, head to Mt. Snow for their family camp, which includes an unplugged itinerary ideal for family reunions and multigenerational vacations. Boat on Smith Mountain Lake: The beauty of a houseboat trip is the guaranteed alone time with your family; on Smith Mountain Lake in southwest Virginia, you may have the lake nearly to yourselves. Make the commitment to go offline and outside with your family this summer. Join us for the #100HoursUnplugged challenge. Learn more at www.oars.com/100hrs. Has your family taken an awesome unplugged vacation together? Tell us about it below.